While it's definitely going to be fun returning to a fresh but familiar Skyrim, there are certain considerations that we modders must make before getting back on the wagon, so-to-speak. Specifically, in regards to compatibility. Unmodded or "vanilla" save files from the original Skyrim are supported by Skyrim Special Edition (SSE). Simply copy (rather than move) the appropriate files from the original folder (/Documents/My Games/Skyrim/Saves), to the new one (/Documents/My Games/Skyrim Special Edition/Saves). More concerning to us modders however, is compatibility between modded save files and SSE. In short, there are no guarantees that a modded save file for original Skyrim will be compatible with SSE. This is especially the case with save files that are dependent on modded content that is not compatible and present in your SSE installation. As Jim outlined in his previous post, there are several key changes that determine SSE compatibility with original Skyrim mods. These include new compression methods, new methods of handling meshes and animations, to name a few. This means updating will simply not be possible in many cases. For those that are able, it will take some time for authors to convert and republish their work, so please respect their time and efforts and be patient. So with all of that said, we suggest that you prepare yourself to "start fresh", both with a new character and a new set of SSE compatible mods that can be found on our SSE Nexus site. That may sound a bit ominous, especially to those of you with huge load-orders, but it's important to remember that SSE is a stand-alone installation separate from original Skyrim. This means that you can keep your current Skyrim installation, load-order, and data folder intact with NMM appropriately handling the titles separately when utilized. Which brings me to the release of the latest (and possibly last!) update to Nexus Mod Manager. This update brings support for SSE, with all of the bells and whistles you'd expect including easy downloads, installations, and endorsements of SSE mods. Again, NMM will treat SSE as a separate title from original Skyrim, hopefully making the process as intuitive as currently possible. It's been a long but lovely road for Nexus Mod Manager. The knowledge we've gained from NMM will be instrumental during the development of our next platform... Until then, stay tuned and happy modding! There is now a news post up about NMM services being off/online. Please read it here: http://www.nexusmods.com/skyrimspecialedition/news/12930/? I'm going to lock this news post comments section now so we can keep everything in one place. You need to run the game via the default Launcher to the main menu at least once before NMM will work. This goes for any Bethesda title that I'm aware of since running the game once to the main menu via the default Launcher creates the necessary Registry Keys needed for NMM to recognize it. We, the community, need to be very patient and respectful as modders navigate this exciting but turbulent time brought on by SSE. There are many hurtles that modders will need to jump, some more than others, to bring their original Skyrim content to SSE, as well as some things many of them need to wait for (e.g. SKSE to be rewritten for SSE, etc). We need to be respectful and appreciative of their efforts and time, not only because of what they do for us, but also because if we are not then some of them, understandably so, may leave the SSE modding scene (as some of them left the original Skyrim scene). If that begins to happen then there is, in my opinion, no chance that SSE will surpass original Skyrim (even despite 64-bit, Dx11, etc). 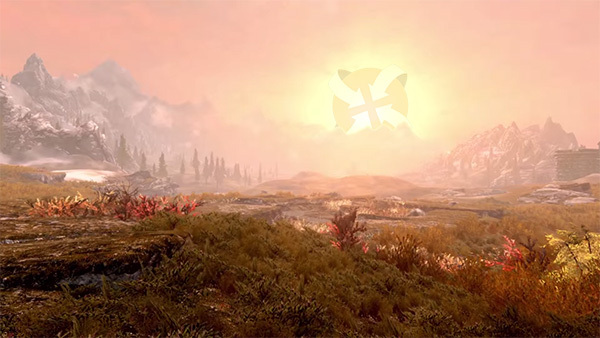 Spread that message/sentiment far and wide around the community because it is a very real possibility that SSE could splinter this community more than it will breathe new life into it; the deciding factor is, in my opinion, ultimately how we, the community, treat the modders that have gone to such lengths to make Skyrim what is today! THANK YOU to all modders, you guys and gals are amazing people! ALSO, huuuuuge thanks to the entire Nexus Mods and Mod Manager team for everything they do. This community and game certainly wouldn't be what it is without you guys too! +1 on that from me. But I don't see splintering, in my view the rush of modding today shows a community enthusiastic about the changes to Skyrim. Nonetheless, you are correct: respect, enthusiasm and patience are important as we move forward. Well said. You said it. The vast pool of unbridled talent that is the modding community is easily the single biggest contributing factor to why Skyrim, at its five year anniversary, is still going strong. That is virtually unprecedented for a video game these days. Collectively, they have taken a good game and made it phenomenal. And they've done it in their spare time, for free. Our patience, understanding, and support is the very LEAST they deserve. I hope you are right! I did notice the huge rush of modding today and it is encouraging, but I also saw plenty of prick-ish comments on plenty of modders' pages which makes me both angry and concerned. I hope the authentic community will outshine the scum and that SSE will revitalize it! This is the fourth day since SSE was released. There are 495 mods already as of this writing. That's an average of 123 mods/day, or more than 5 mods every hour. One every twenty minutes. I wonder what this community could achieve if they were doing this full-time. It simply boggles the mind. I haven't got SSE as yet, not until SKSE launches, but tip my hat to the guys and gals in this community. They're simply amazing. Hear hear. The mod community is amazing and I look forward to seeing what everyone comes up with. Couldn't agree more. I'm hugely grateful to all the modders who spend time and energy making content free for the rest of us, it's their work that keeps SKyrim alive and fresh after all these years. EDIT: nmm still down across the board. Hey is anyone else not able to connect to the nexus mod manager servers? I can log into the site just fine but my manager isn't connecting. What gives? Is it currently saying the server has been disabled for anyone else? Exactly the same for me, just have to wait I guess. I'm disappointed to hear that MO is no longer being developed as i don't like how NMM handles mods. My game has messed up many times in the past where NMM fails to remove all traces of a mod when uninstalling mods. I think since Tannin has gone to work for Nexus ... NMM will improve alot. Isn't there Mod Organizer anymore ? I remember NMM was inconvenient to me. If you want more info check out ... Dirty Weasel Media or Gopher on Youtube. Hey, I was wondering if somebody could help me? I've downloaded the new nexus, and I downloaded the USSEP (Unofficial Skyrim Special Edition Patch) just fine, but whenever I try to download any other mod the same way, it doesn't work. it say's server unreachable.. What does that mean? ?